Smoking is an addiction that develops into a dangerous psychological habit. As time passes, the act of smoking becomes mechanical and the habit is ingrained in the daily routine. It is automatic for a habitual smoker to light a cigarette during break-time or with coffee in the morning. The “pleasant feeling” of nicotine on the human neural system leaves the smoker relieved when stressed, bored, depressed or traumatized. Therefore, it is essential to address the pre and post smoking symptoms to quit the habit for good. The following five tips will help smokers be successful quitting. The plan starts with setting a quit date within the next two weeks to keep your motivation up and telling family and friends about your decision. You will need time to mentally prepare for the anticipated challenges that come your way as your ‘stop-smoking’ campaign rolls along. To resist any temptation, remove all cigarette products from home, car and office. 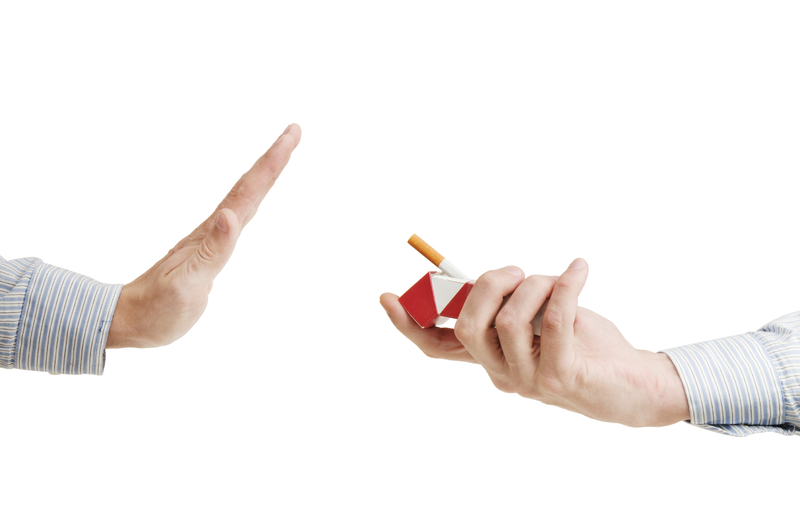 Once you decide to kick the habit, remain in frequent touch with your doctor for any urgent help. People with the habit of drinking and smoking should go to bars and restaurants where smoking is prohibited. Avoid being around family and friends who are smokers, as temptation will be lurking. Post dinner smoking could be replaced with a piece of fruit or (occasionally) an ice-cream cone or piece of chocolate. It is suggested that you distract your mind from cravings by doing something active. Remove yourself from situations that trigger a craving. Finally, self-motivation through rewards is a positive way to manage cravings. Symptoms include fatigue, insomnia, tremors, restlessness, and headaches, among others. However, it is essential to ignore them, as these symptoms will decrease and go away within a week. Encouragement and cooperation from friends and family makes a huge difference. Replacing cigarettes with nicotine gum or a patch helps to break the psychological barriers. Used as a short-term solution, medications of this sort can make the first few weeks away from cigarettes more manageable. If you have a plan in place and the support of your loved ones, quitting smoking will be the best health decision you will ever make! And not to mention the oral health benefits you get from quitting. Say goodbye to dry mouth, stained teeth, bad breath, and reduce your risk of oral cancer while you’re at it! Do you have any suggestions for smokers who want to quit? Leave them in the comments. Quitting can be tough but it’s not impossible. I know because I have a close friend who is a smoker before and now his totally over it. The more time you learn about your options, and prepare for quitting, the easier the process will be. A support from a family and friend is also important to make make them successfully quit. After also I showed my friend a few of my patients picture who has a dental problem due to smoking, he was really disgust about it, and little by little making him accept the harmful effects it can give him not only dental problems but his overall health. Thanks for your comment! It is always nice to hear a success story. Wow that are very amazing quit smoking tips that will surely help in staying out of smoking habit. Yes, smoking is a dangerous habit. Quitting is the best choice to improve your oral and overall health.